DeVry University will pay $100 million to settle a lawsuit that alleged its ads misled prospective students, the Federal Trade Commission said Thursday. The money will go back to tens of thousands of students that attended DeVry between 2008 and 2015. Some will be reimbursed with cash and others will receive debt relief. The complaint alleged that DeVry's TV, radio, online and print ads touted inflated job placement rates and post-grad income levels. Some ads, for example, said that 90% of grads since 1975 found jobs in their fields of study within six months of graduation. The Department of Education found that the college could not substantiate that statistic, and has prohibited the school from making that claim. The FTC brought its lawsuit nearly one year ago and at the time, DeVry (DV) said it would fight the allegations. On Thursday, the school said it was "pleased" the matter was resolved. It continues to deny all allegations of wrongdoing. DeVry has about 70,000 students. The school has 55 campuses across the country, and almost all of its degree programs are also offered online. Its revenue fell 3.5% last year to $1.8 billion, mostly due to a decline in enrollment. About half of the $100 million will be distributed to students who the FTC will determine were harmed by the ads. The agency is waiting to receive more information about the students from DeVry before it can determine how many will receive compensation. If you're eligible, you will be notified by the FTC. The other half of the settlement money will wipe away outstanding debt for qualifying students and graduates who received a private loan from DeVry between September 2008 and September 2015 (the time period for which the ads ran). This does not apply to anyone with federal loans. Those who still owe the school money, though not necessarily through a loan, may also have their debt wiped away. If you're eligible for this kind of compensation, you will be notified by DeVry. For more information on the refund process, visit this FTC web page. DeVry is not the first for-profit college that has agreed to forgive students' debt in order to settle a lawsuit. Education Management Corporation, which owns the Art Institutes, agreed to forgive nearly $103 million worth of student debt last year. Other for-profit colleges have also faced increased scrutiny under President Obama. 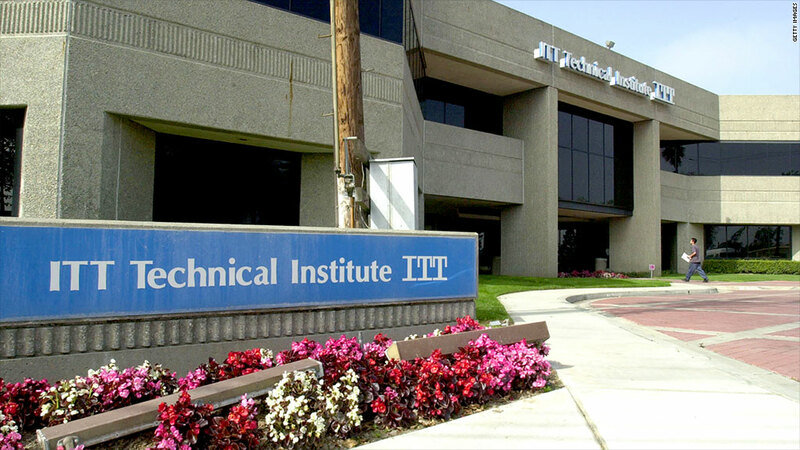 His administration's crackdown on the industry led to the collapse of Corinthian Colleges and ITT Technical Institute, both within the past two years.